It’s become a somewhat tragic cliché in the past few decades–the young, hopeful Hollywood star, making a big splash on screens big and small before the pains of growing up on camera manifest themselves in drug addiction and wasted talent. The list seems endless, from Danny Bonaduce to the Coreys (both Feldman and Haim) to Brad Renfro, from Tatum O’Neal to Dana Plato to Demi Lovato to the ongoing human train wreck that was once Lindsay Lohan. But years before all of these young stars succumbed to the allures of drugs and alcohol and self-abuse, there was the sad story of Bobby Driscoll. Driscoll’s Hollywood career started at the age of five with a bit part opposite fellow child star Margaret O’Brien in the 1943 film Lost Angel (incidentally, the film also featured a brief appearance by Robert “Bobby” Blake, who would grow up to face troubles of his own). This led to small roles as precocious youngsters in several films over the next two years before Driscoll was “discovered” by Walt Disney in 1946. Disney put Driscoll under a long-term contract–the first actor given this status by the studio–and cast him as Johnny, the young boy whose becomes entranced by Uncle Remus’ tales in the 1946 film Song of the South (based on the stories by Joel Chandler Harris). The relationship between Uncle Remus (James Baskett) and Johnny is the centerpiece of the film, and there is an easy camaraderie between the two that makes their budding friendship that much more believable on the screen. Baskett is the twinkling, appealing star of the film, to be sure, but Driscoll more than holds his own, and rather admirably, too, for a nine-year-old. In the wake of that film, Driscoll’s popularity exploded. Along with South co-star Luana Patten, Disney built up Driscoll as a fresh new star, throwing the two of them together twice more: first, in a brief cameo during the Pecos Bill segment of the package film Melody Time (1948), followed by the animated/live-action combo film So Dear to My Heart later that year. In between projects for Disney, Driscoll appeared in The Window, a minor 1949 noir based on a story by Cornell Woolrich (whose work was adapted into numerous films over the years, perhaps most notably the similarly-named Alfred Hitchcock classic Rear Window in 1954). Driscoll’s work in The Window demonstrates the breadth of the young actor’s talent; outside of the strictures of the wholesome Disneyfied persona that had been crafted for him, Driscoll proves himself to be a capable, intriguing dramatic presence–in fact, in its review of the film upon its release, the New York Times labeled Driscoll’s performance as “brilliant,” his character’s reactions “projected with remarkable verisimilitude.” His performance in The Window, combined with his appearance in So Dear, led to his winning a special “Juvenile” Oscar in 1950. That year, Driscoll returned to the Disney fold for the live-action adaptation of Robert Louis Stevenson’s classic adventure story Treasure Island, playing Jim Hawkins opposite Robert Newton’s memorable Long John Silver. The film was one of the biggest successes at the year’s box office, and marked a pinnacle in Driscoll’s career. The young actor soon moved into voice acting for his home studio, providing the vocals for Goofy’s son, Goofy Jr., in a couple of shorts in the early 1950s. But his greatest voice-over performance came with his lead role in Disney’s 1953 adaptation of J.M. Barrie’s Peter Pan. His playful take on the character, infused by turns with bravado and charm, results in a fantastic vocal performance opposite fellow Disney favorite Kathryn Beaumont (Wendy). In addition to voicing Peter, Driscoll also served as the model for the character, and he ended up performing some of Peter’s scenes on an empty soundstage so as to give the animators reference points for their work. As Driscoll moved into puberty, his value to the Disney studio began to wane, and after the release of Peter Pan, his long-term contract was canceled, more than two years early. Reportedly, Driscoll was fired because he developed severe acne, and the studio claimed it would be difficult, if not impossible, to cover the offending marks with makeup. In the wake of leaving the studio, Driscoll found it hard to escape his Disneyfied past, and he moved from film to television acting, appearing in a number of anthologized series throughout the 1950s. But by then, he had discovered drugs–heroin being his narcotic of choice–and he spent the next few years in a downward spiral. Attempts to revitalize his career, both in Hollywood and on Broadway, failed, and Driscoll eventually moved into the art world, becoming a regular presence at The Factory, Andy Warhol’s infamous art/film/writing/music studio in Manhattan. Driscoll’s time as a “member” of The Factory didn’t last. After two years of immersing himself in his art, he disappeared from the scene. A couple of weeks after his thirty-first birthday, Driscoll’s body was discovered in an abandoned tenement in New York. But he was unidentified at the time, and he was buried in an unmarked grave in Potter’s Field. It wasn’t until his mother went looking for him, almost two years later, that the truth of his death was discovered. And even then, the details were not revealed to the public for another three years, until Song of the South was re-released in theaters in the early 1970s. Bobby Driscoll died way too young and, sadly, so ignominiously that he was never fully given the chance for cinematic redemption. It’s heartbreaking to realize that his life, once marked by endearing performances and a breathtaking talent, has become over time a cautionary tale (though one not nearly as well-known as some of his unfortunate successors). One can only hope that current stars like Lovato and Lohan, who showed such early promise in their respective runs as products of the Disney machine, are able to meet with a much different fate in the end. 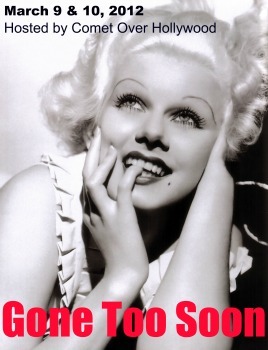 This post is my contribution to the “Gone Too Soon” blogathon hosted by Comet Over Hollywood. Check out the list of participating blogs to see more heartfelt tributes to the stars who died well before their time. News and views and issues and previews (and other words that rhyme with “news”). Just about anyone who got mixed up with that freak Warhol ended up dead from drugs. Hard to believe Peter Pan has such a hard life! To be fair, Driscoll had problems for more than a decade before he hooked up with Warhol. Researching his life and writing this post made me so sad at times. Thanks for the link–I’ll make sure to check out your post! 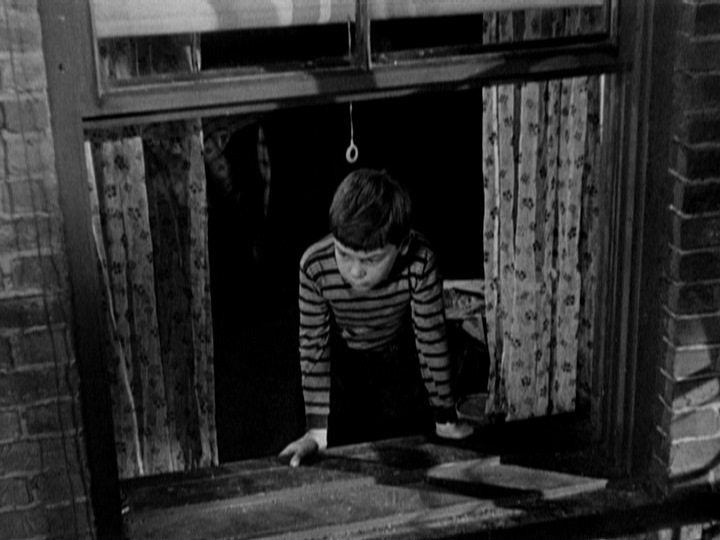 So sad — I greatly enjoyed Bobby Driscoll in The Window, and never knew what had happened to him. Thanks for this post and sharing his story. 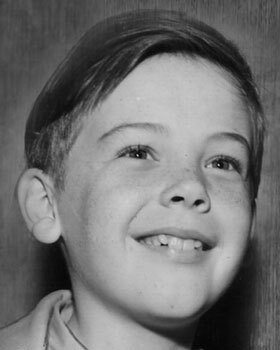 Bobby Driscoll’s story always makes me sad. 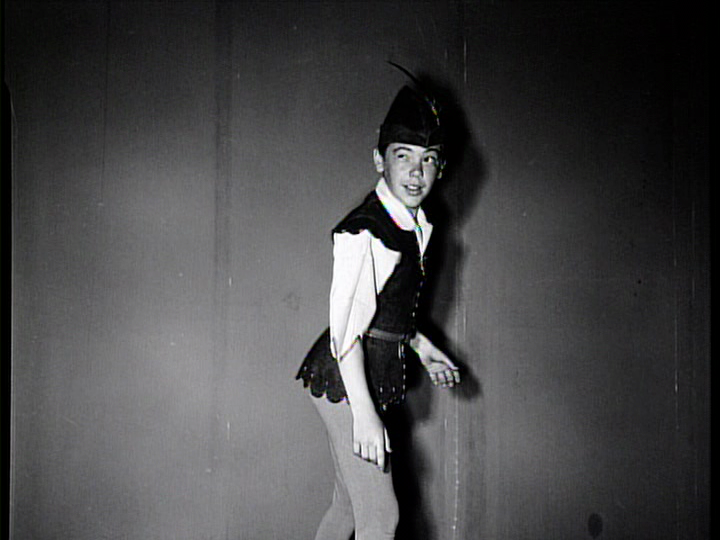 I’m a life-long Disney nut and I was shocked when I first heard about Bobby Driscoll’s fall post-Peter Pan. Such a shame that he couldn’t rise above his demons. A few biographies mention Walt Disney trying to help him and it just didn’t seem to take. As a fellow Gone Too Soon participant, this is probably my favorite post! Brandie – You’ve told Bobby Driscoll’s story so well – thoughtfully and with compassion. Fame and acclaim at a very early age are obviously a blessing and a curse. Even those who survive it, continue to work in the business and live long lives – Mickey Rooney, Elizabeth Taylor – seem to have had no easy time of it. My favorite Disney actor was always Tommy Kirk. Always wondered what happened to him – he was an affecting dramatic actor (“Old Yeller”) though better known for Disney’s lighter fare (“The Shaggy Dog” etc.). Turns out Tommy was gay and this led to his departure from the Disney studio. Soon he had drug problems and his career floundered. 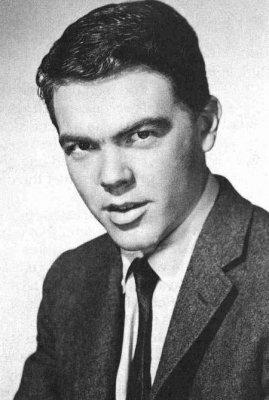 But unlike Bobby Driscoll and many others, he lived to see another day – must be nearly 70 by now. Thanks, Lady Eve! Actually, the host of this blogathon, Jessica, wrote an interesting post about Tommy Kirk last year: http://cometoverhollywood.com/2011/06/27/the-story-of-tommy-kirk/. It’s definitely worth a read! I love Song of the South and Driscoll shined. I had no idea he was in a remake of Peter Pan. I also didn’t know that he started acting at such a young age. It’s sad that he wasn’t able to grow old and find his path somewhere in pictures again. I hadn’t really heard of/remembered Bobby Driscoll until I saw his incredible performance in “the Window” last fall at a NoirCity DC screening. Quite a talent, especially at such a young age. Highly recommended viewing, and I read that his body was found not far from where “The Window” was filmed. Such a sad story. Too bad they did not have a remedy for acne that teens in the public eye needed so badly. That does not sound right though. Surely they could have worked around that. I had the 78 album of Song of the South as a child. The movie came out when I was a baby so I did not see it but recall listening to the album many times. I realize he was a grown man but 2 years before his mother looked for him? !